Both Moring Disposal and Gill’s Freeport Disposal offer Landscape Waste Programs for residential pick-up of grass clippings, leaves, weeds, brush, and tree trimmings less than 2 inches in diameter. There is a pre-paid cost each season of $105.00 which includes weekly service and toter. Additional toters are available for rent for the season for an annual prepaid fee of $50.00. 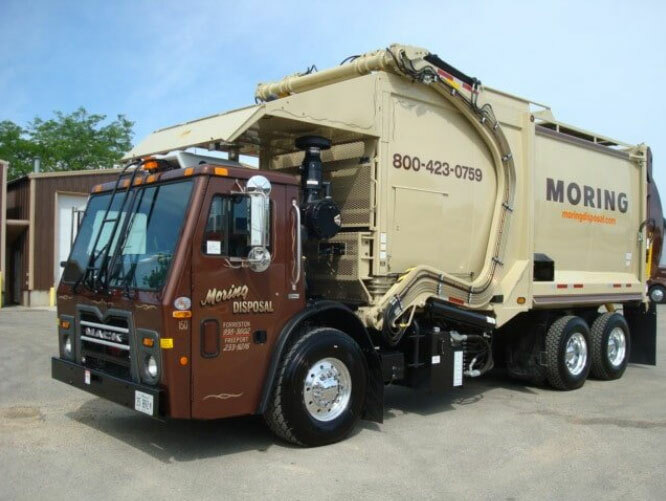 All garbage items must be set out the night before your collection day or no later than 5:00 a.m. on your pick up day. All trash must be placed in a refuse bag or container no larger than 35 gallons in capacity and 35 lbs. in weight. Each single family dwelling is allowed up to 2 bags or trash cans each week. Residents using bags smaller than 35 gallons will be allowed more within reason. Sullivan’s Foods 2002 W. Galena Ave. Recycling bins may be set out every week the night before your pick up day or no later than 5:00 a.m. on your pick up day and should contain recycled items ONLY. Recyclable items can be loose and co-mingled together in your bin. All residences must have a recycling bin at the curb to identify your stop for recycling collection that day. 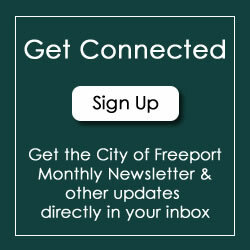 Residents may purchase additional bins at the Freeport Recycling Center or from Gill’s Freeport Disposal for $12.00. Recycled items in your bin must be empty and free of food, drink, or any residue. Newsprint & other paper products can be stacked on the bottom of the bin with all other materials co-mingled on top. This may help to prevent blowing on windy days. Please do not dispose of plastic bags in your recycling bin or use them to contain excess recyclable items as these contaminate the recycled material. Styrofoam and blister packaging are also not recyclable and should be set out with your trash rather than your recycling. In the event that you have additional recyclable items, place them in a separate paper bag, cardboard box or container clearly marked recycling beside the bin. METAL PRODUCTS: Tin & Aluminum: Cans, formed aluminum and tin containers including old pie and cake tins. Empty and rinse container completely. Place lids inside of cans. Labels do not have to be removed. GLASS PRODUCTS: Glass Jars & Bottles only: Empty and rinse container completely. Labels do not have to be removed. PLASTIC PRODUCTS: Plastic Jugs and bottles: Containers with numbers 1 through 7 on the bottom (Except Styrofoam). Empty and rinse container completely. Labels do not have to be removed. PAPER PRODUCTS: Newsprint: All newsprint is acceptable. Junk Mail: Includes envelopes, fliers, brochures, advertisements, old papers, white & colored papers. Other Paper Items: Catalogs, magazines, phone books, soft cover books (hard cover books need covers removed). Brown Kraft Paper Bags: Grocery, shopping, lunch bags, etc. Corrugated (Cardboard Boxes): Break down, bundle or stack in manageable sizes not exceeding 3 foot square. Other Cardboard: Food, clothing, shoe, toy & game boxes, beverage cartons, soda boxes, etc.